NEW ORLEANS – The state of Louisiana has many important landmarks where significant historical events have occurred. One place in particular is the Louisiana National Guard’s historic Jackson Barracks in New Orleans. 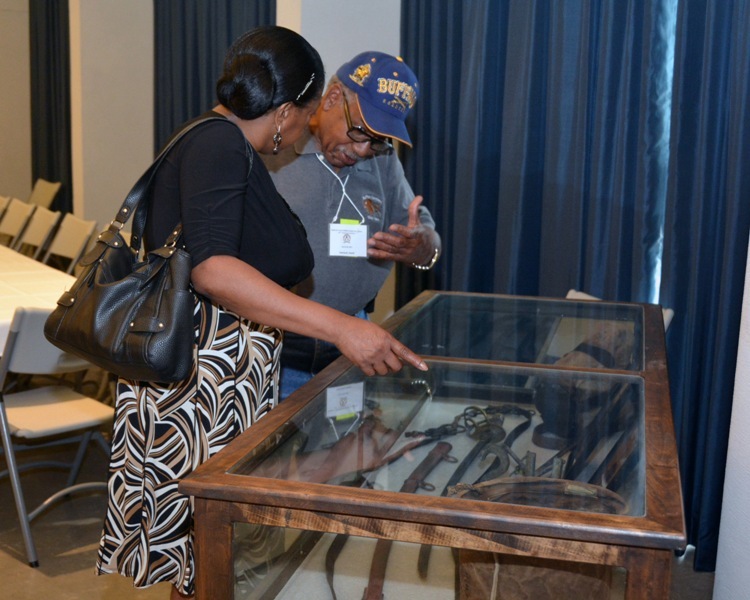 In 1869, Jackson Barracks became the home of the newly formed U.S. Army 25th Infantry Regiment, one of four Army infantry regiments known as the Buffalo Soldiers that were formed and comprised principally of African-American enlisted Soldiers. 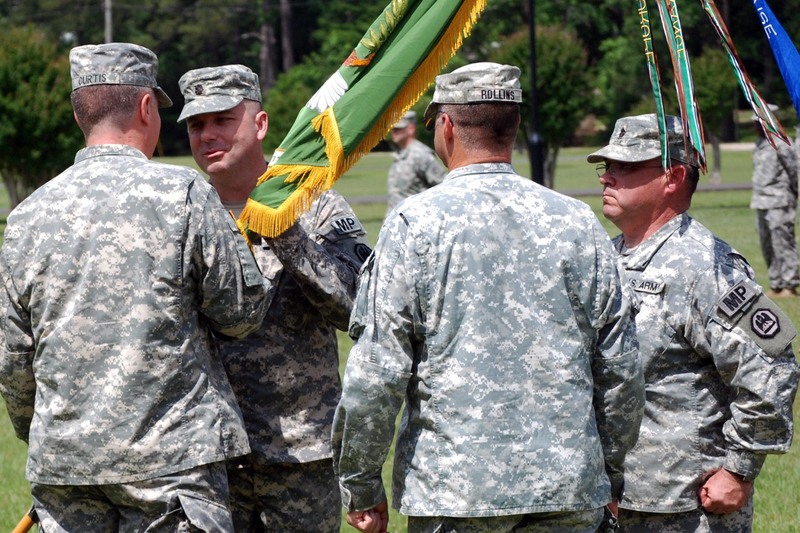 The LANG commemorated the consolidation and formation of this proud regiment at a ceremony, July 24, at the Ansel M. Stroud Jr. Military History and Weapons Museum on Jackson Barracks. The 25th Infantry Regiment would go on to serve at Jackson Barracks until April 21, 1870, when it was ordered to San Antonio, Texas, for replenishment and service in scouting, escorting, guard duty and road building prior to involvement with both Indian and Mexican militia forces along the Rio Grande border. 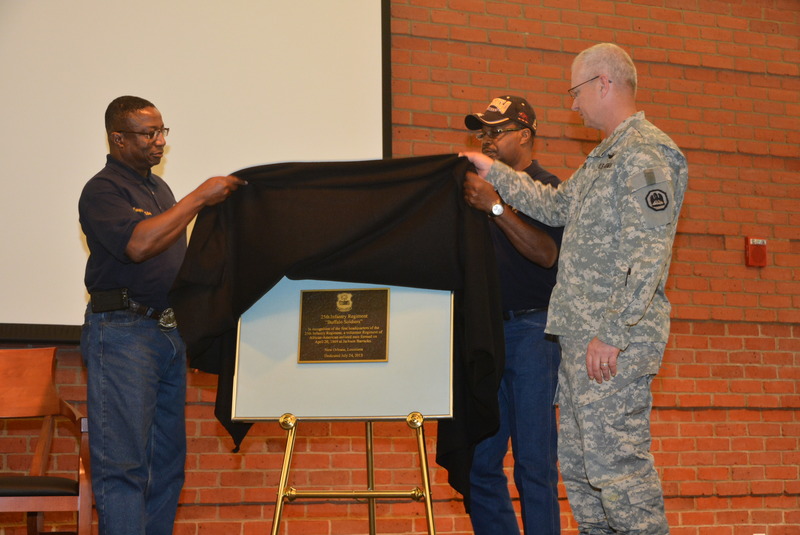 A plaque was revealed during the ceremony reflecting the commitment that the National Guard shares with the Buffalo Soldiers, our nation and our military heritage. 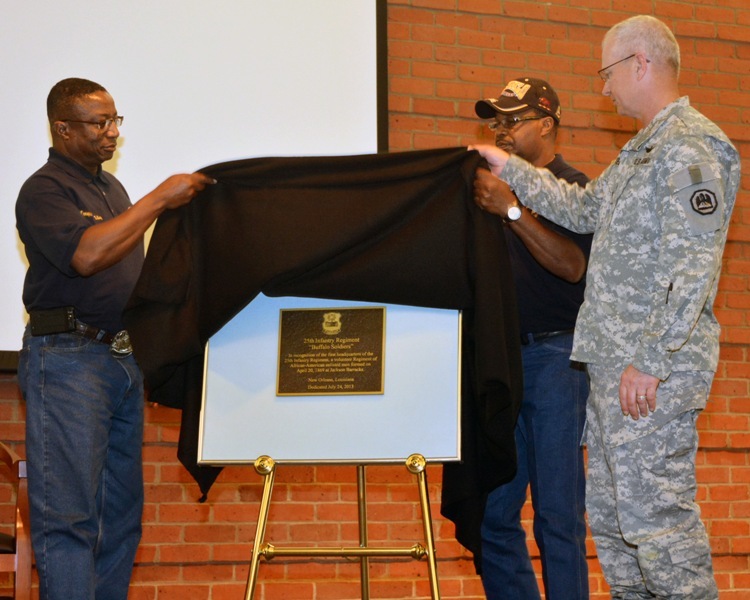 In recognition of the first headquarters of the 25th Infantry Regiment, a volunteer Regiment of African-American enlisted men formed on April 20, 1869 at Jackson Barracks. 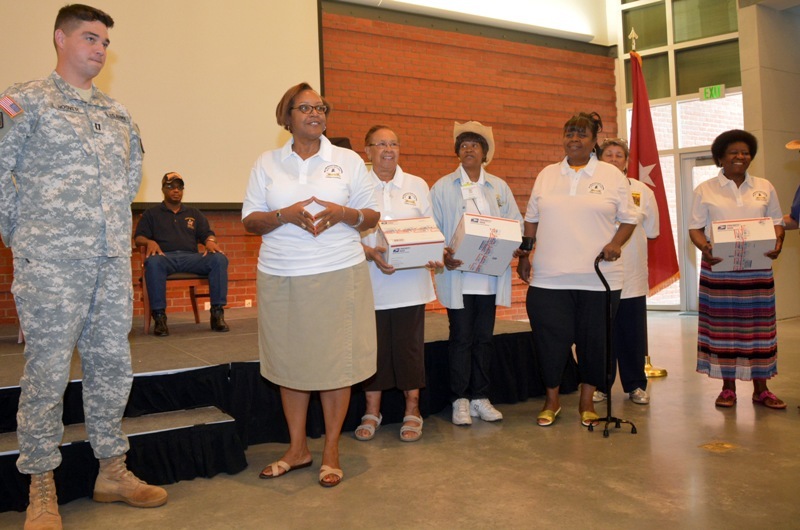 Also during the ceremony, the Ladies Auxiliary of the Buffalo Soldiers presented care packages to Capt. 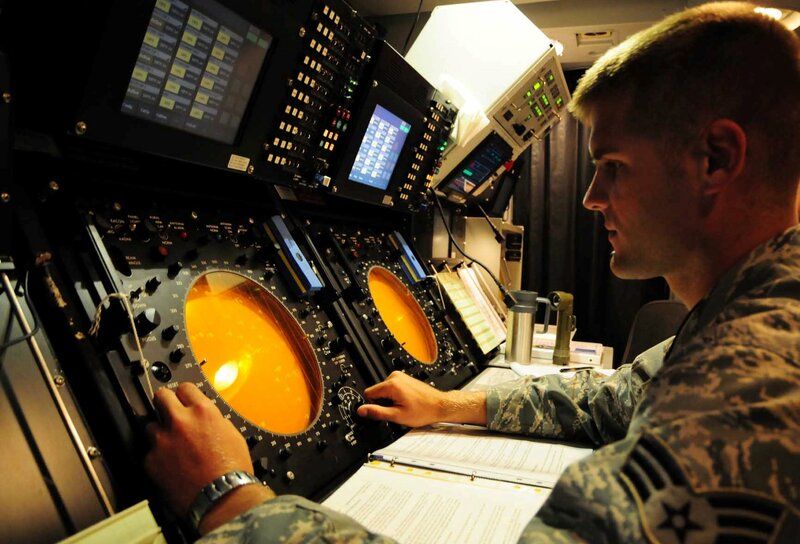 James Hoover, commander of the LANG’s 927th Engineer Company, 769th Engineer Battalion, as his company is set to deploy overseas later this year.